As a main course for the serata piemontese I prepared Brasato al Barolo, beef braised in Barolo wine. I used a wagyu brisket for this that was cooked sous-vide with 2 bottles of Barolo and aromatics for 48 hours at 57ºC/135ºF. The meat was tender and juicy and the sauce was amazing. I asked my friend Resi, who was born and raised in Piemonte, still lives there, and helps me out with my blog in Italian, for suggestions for a side dish for the brasato. She suggested a gratin of cauliflower, fennel, or cardoons. I chose fennel and it was indeed a great combination. Wash and dry the fennel bulbs. Cut off the base and the fronds. 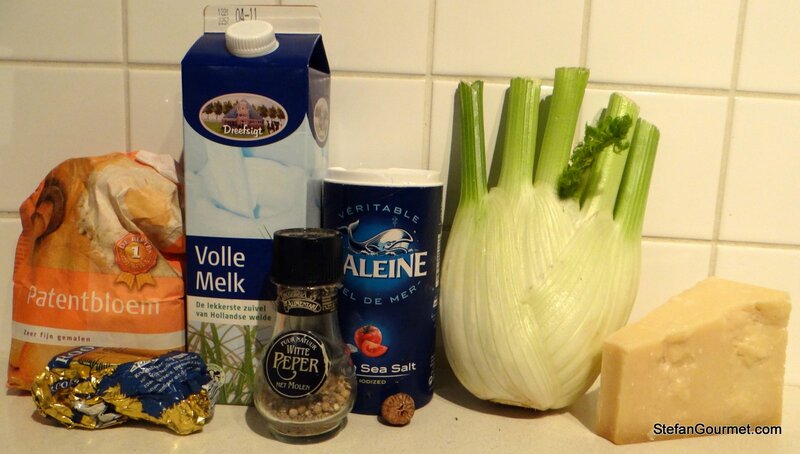 Cut the fennel into quarters (or halves, if using small bulbs). 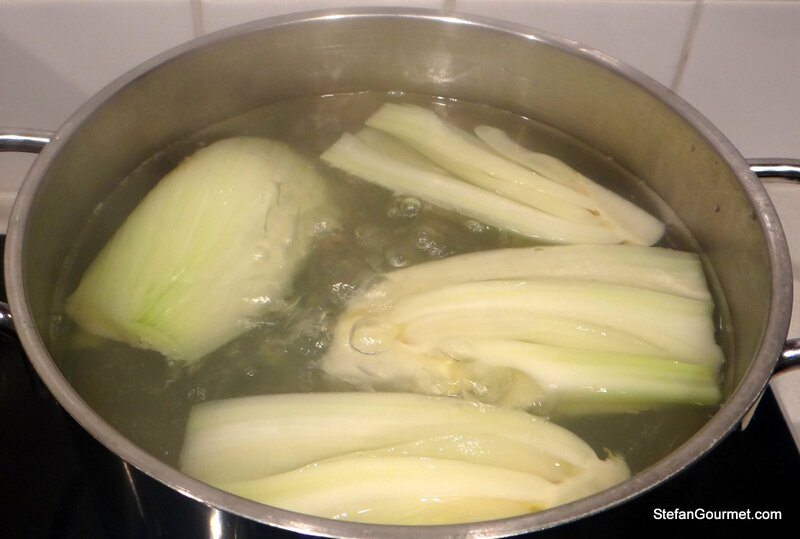 Parboil the fennel in salted boiling water for 10 minutes and then plunge them in cold water to stop the cooking. 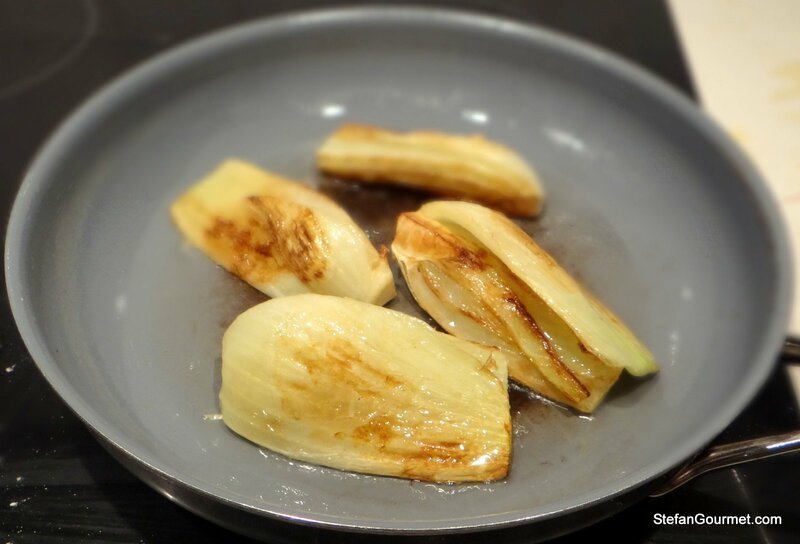 Brown the fennel in (clarified) butter over high heat on all sides. 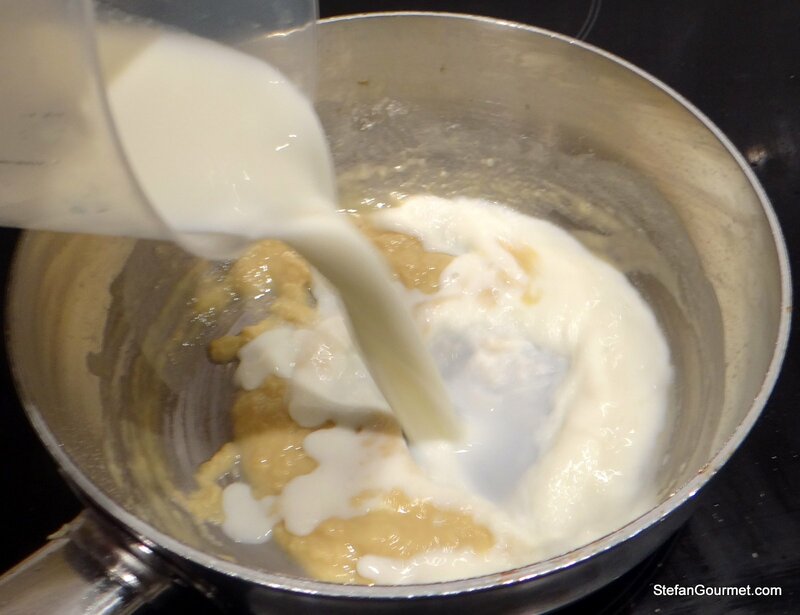 Make a bechamel sauce by melting the butter, adding the flour, adding warm milk (heated in the microwave), whisking energetically to avoid lumps, and then cooking over medium heat, stirring, until the sauce thickens. 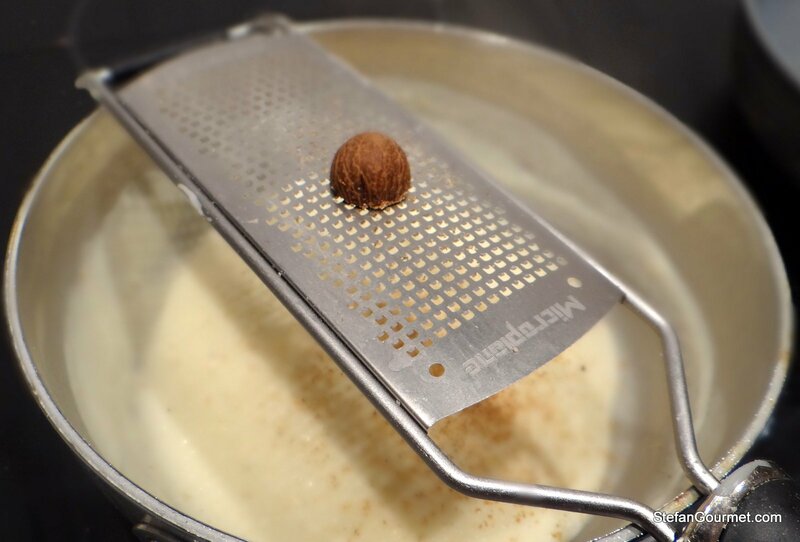 Season the bechamel with freshly grated nutmeg, freshly ground white pepper, and salt. Preheat the oven to 200ºC/390ºF. 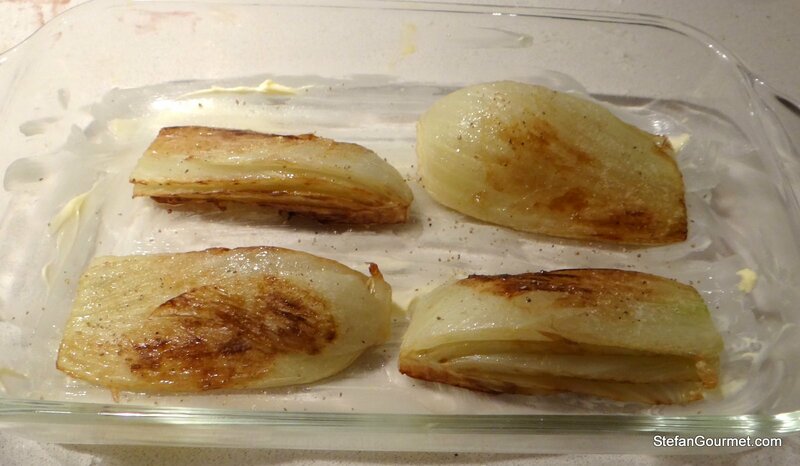 Butter an oven dish and arrange the fennel in it. 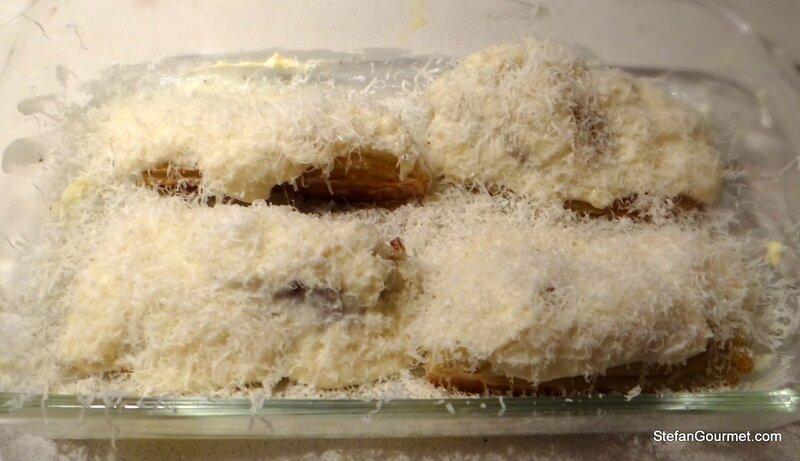 Cover the fennel with the bechamel and a generous layer of freshly grated parmigiano reggiano. 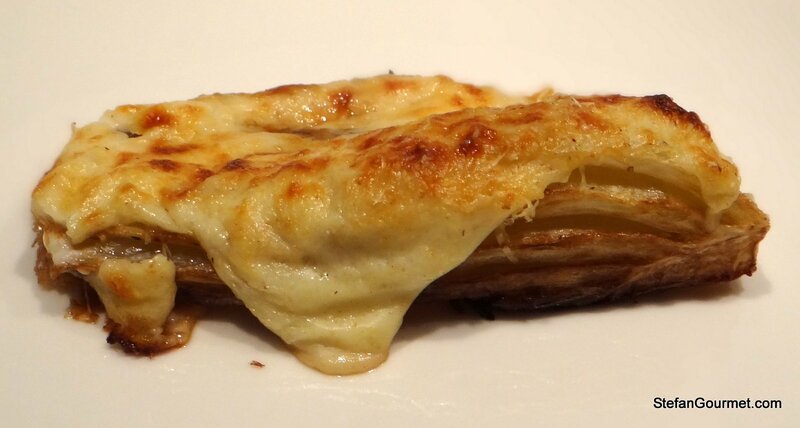 Bake for 20 minutes at 200ºC/390ºF or until the cheese has melted and is nicely golden. 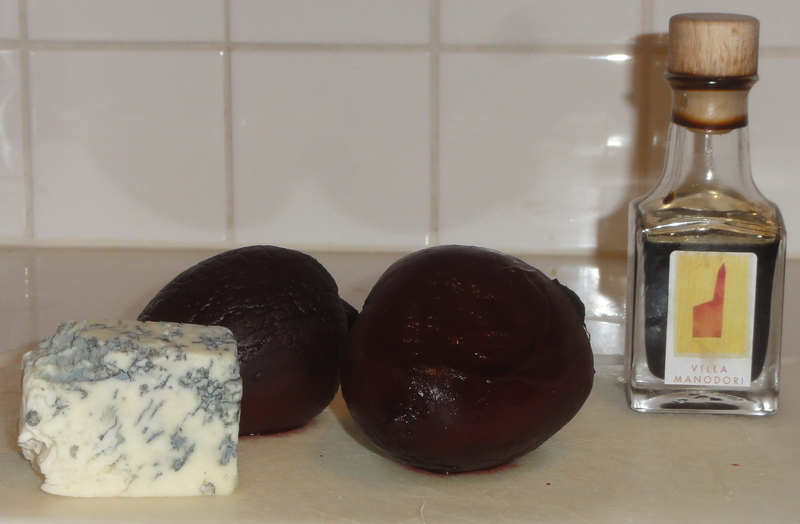 Two years ago, I posted about oven-roasted beetroot with gorgonzola and balsamic vinegar. A great combination of flavors and the best way to cook beets! Amazing, great idea. We made a sort of fennel dauphinoise a couple of times, but it was a bit too heavy on the cream for me. Now this though… This I think I could fall in love with! Great, thanks! You could of course use more or less besciamella according to your preference for a heavier or lighter version. Interresante 🙂 ! Use fennel all the time, but this has its turns and twists I shall most certainly explore 🙂 ! Great Shanna, would love to hear how it turns out. Oddly, one of the other doctors made his own, homemade smoked salmon for their weekly Wednesday conference yesterday. Abba was a big fan. I see that you have a few recipes on your blog – which is your favorite (and best for a novice in the curing of fish)? That looks tasty. I was wondering what to do with all that parmesan I bought in Limerick….